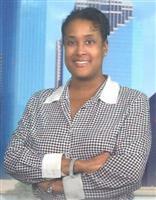 Sonya Roberts is your Harris County area relocation specialist. At Right Way Realty and Investment Services, we realize that moving to a new location is difficult. That relocating is more than just moving boxes. Relocating involves making decisions about many different things which will affect your life. Our goal is to help you make the right decision, by giving you timely information and advice. Houston is an international city. With many different communities which have their own personalities. Some of these communities are really small towns located inside a bigger city. While Houston has a central downtown business district, there are business centers located away from downtown. The small cities located within Houston have their own school districts as well as police forces in some cases. Harris County is a large area in terms of actual square miles. Finally, Sonya L. Roberts knows Houston, and the Houston Real Estate Market. Let us help you relocate to Houston. Once you have decided upon an area of Houston to move to. Our staff will work to find the perfect home for you. We will help you in deciding what is important in your new home. Then we will send you homes to review before you leave for Houston. Our concierge service will help you with your needs providing resources and information to assist in making your move easier. To start looking at properties now, simply click the orange Property Search button at the top of the page. The Houston MLS search provides you with an automated search which can be defined to fit your specific needs. To speak with Sonya Roberts please call 832-287-2891. Good Luck, and let me be the first to say WELCOME TO HOUSTON. The greatest city in America.